Green is Gorgeous, but Painting Green is Painful! 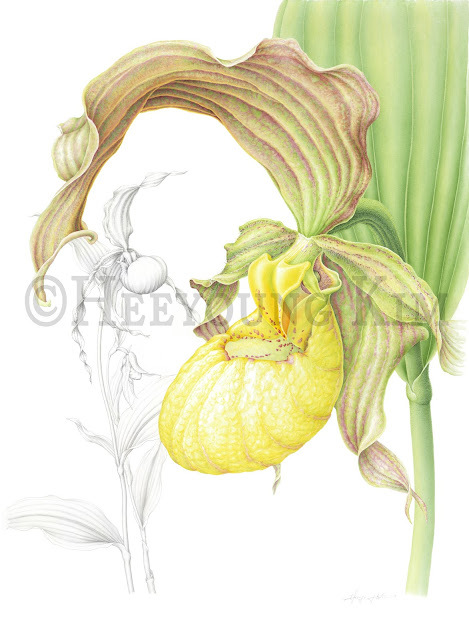 I believe you know what I mean when you are a botanical artist. "Made so many color charts, perfectly, but still scared by green leaves..." Sounds familiar? Our goal of this month at Brushwood Center at Ryerson is getting confidence in painting green leaves. To achieve this goal, students will be guided to mix various green tones with transparent blues and yellows. Transparency of paints is tremendously important when many layers are applied. I will introduce transparent colors based on my experiments. After making their own green charts, students will paint green leaves of their choice and a couple of fall leaves to add some fun and charm. I offer two options for the workshops. Saturday workshops are designed for people with busy workdays. They are adjusted for shorter classes but still with the same subjects and instructions. pen and ink is used in an exhibition panel.